give up on the idea of deploying it on their island? Okinawa Prefecture Governor Hirokazu Nakaima: Will he stand up and oppose the central government's decison to go along witth the United States and deploy the V22 Osprey in Okinawa? This country appears to be saddled with a prime minister who feels no shame about hurting the spirits of the war dead and their families - and Okinawans who ask only for peace and hope. In person, Prime Minister Yoshihiko Noda intends to ask Okinawa Governor Hirokazu Nakaima for his understanding regarding to the planned deployment in July of the MV22 Osprey tilt-rotor aircraft at U.S. Marine Corps’ Futenma Air Base. Noda has chosen June 23rd for the occasion, when a memorial ceremony for casualties suffered at the Battle of Okinawa will be held. Prime Minister Noda will seek approval of the stationing of the defective aircraft, which a majority of Okinawans oppose, on the same day that Okinawa is filled with prayer for the repose of the deceased and amid vows never go to war again. This surpasses simple ignorance, and is an act of foolishness akin to challenging Okinawan society. Surveys show that 90 percent of the people and 95 percent of local authorities oppose deployment of the Osprey. The central government should think about how significant a statistic this is in a democratic society. Out of 41 municipal councils in the prefecture, 39 have passed resolutions asserting opposition to the Osprey deployment, and demanding a halt to the plan. The two remaining authorities are considering taking similar action. Polls taken [last month] for the 40th year anniversary of Okinawa’s return to Japan also suggest that there is a consensus against the deployment in Okinawa. Public opposition to the Osprey flying in Okinawan airspace is unswerving - the aircraft has had frequent crashes throughout every stage of its development, and even crashed in Morocco in April. Despite this, the U.S. military has pushed ahead with the deployment at Futenma, the “world’s most dangerous” air base. The Japanese government has been obediently following the U.S. side, and their devil-may-care attitude has become increasingly evident. 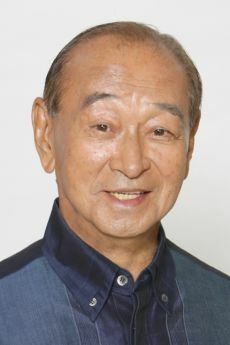 Newly-appointed Defense Minister Satoshi Morimoto has stressed the need for the deployment, saying that “no harm will come to our country.” He has added to his lack of popularity among Okinawans by commenting that the results of the inquiry into the Osprey crash in April will likely be released after the aircraft is deployed. 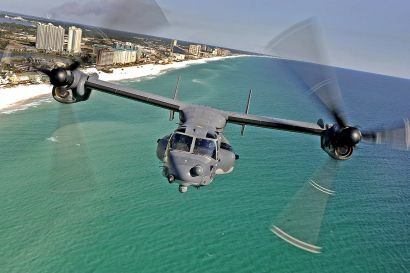 The fact that Morimoto is prepared to unhesitatingly deploy the Osprey despite a lack of explanation for the causes of its recent crash shows a disregard for the lives of local residents. Governor Hirokazu Nakaima should not only voice opposition, but take strong and direct action against the U.S. and Japanese governments. Okinawan members of the Diet should do the same. At issue are the lives of Okinawans. Since their feelings are clear, representatives in local authorities, the Diet, and the business community should set partisan loyalties aside and unite to prevent this deployment.